Description: This is one of the templates created by Edraw that was designed to work with MS programs and many other applications. 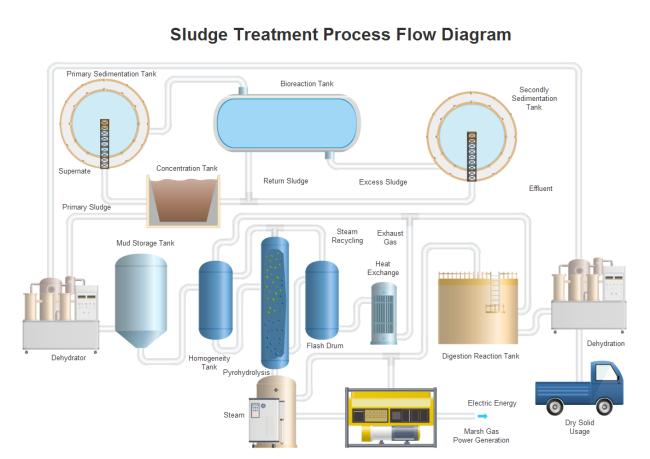 It is a simple sludge treatment pfd example. You can freely download, modify and then export it into other graphic or MS formats.